Great Christmas, Frozen Party decoration. Size of each banner = about 9.5x9.5cm. Product Weight = 34gm. Blue and White Designs. Each bunting has 8 flags. each flag is A5 Size (approx.). ==========. Flamingo Christmas Bunting, Christmas Party Decoration, Kids, Banner, XMAS, Pink. This lovely Flamingo bunting will be a great alternative to traditional Christmas decorations. 8 flags per set of bunting. White and silver Christmas reindeer foil voile bunting. Simply lay them out to leave a trail on Christmas Eve to look like Santa's Footprints. 8 flags per set of bunting. ribbon color may vary. Not ready assembled, simply thread the ribbon through the holes and hang at your party. I aim to dispatch quickly. Colors may vary slightly from each computer monitor. Also see our entire range of inflatables, Christmas decorations and related products. Great for Christmas Decorations. Self Adhesive Christmas Paper Chains. The paper chains are complete with an adhesive strip on the reverse that enables the paperto be looped into one another to create a paper chain Christmas decoration. 8 flags per set of bunting. Not ready assembled, simply thread the ribbon through the holes and hang at your party. ribbon color may vary. Colors may vary slightly from each computer monitor. blank on the reverse side. Christmas Bunting Red Hessian Various Sizes - Rustic Santa LAST FEW !! The paper chains are complete with an adhesive strip on the reverse that enables the paper to be looped into one another to create a paper chain Christmas decoration. Self Adhesive. Makes at least 5M of chains. Party decoration. Can I have my order faster?. Disney / Character. Calendars / Diaries. Gifts for Kids. Toy soldier designs. Gifts for Her. Gifts for Him. Ginger Bread Man garland . YOU WILL GET 100% THE ADVERTISED COLOUR OR YOUR MONEY BACK. 6 BRIGHT COLOURS STRIPS OF PAPER CHAINS. LOOK PERFECT FOR CHRISTMAS AND NEW YEAR PARTY,BIRTHDAY ,WELCOME BACK HOME,KEEP KIDS BUSY MAKING THEM UP AND PLAYING.ALL FOR ONLY £2.99p(FREE POSTAGE) **BUY 3 SETS AND GET AN EXTRA 50 STRIPS FOR FREE** **BUY 4 SETS AND GET AN EXTRA 100 STRIPS FOR FREE** OR YOU CAN BUY 100 STRIPS FOR £1.59p free p&p *** A LOT OF OTHER COLOURS ARE IN STOCK AND SOLD AS IN SINGLE COLOUR,PLEASE ASK. ALL MADE IN BRITAIN. Foil Garland. HANGING WALL,CEILING DECORATION. Green Red Gold and Silver for the foil. Hessian, brown, orange, gingham and spots. Made using hessian gingham spotty and striped poly cotton fabric. Autumn Winter Bunting. We can create bespoke bunting to suit your venue. We have hundreds of fabric designs and colours to choose from, so let us know what you want and we can send you an image of the fabrics we have. Red and white Christmas bunting; snow flakes an reindeer’s . 1x 4M Paper Bear Garland. - Shape: Bear. 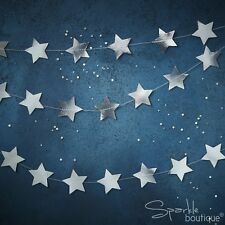 - The perfect decoration for many kinds of parties. - Color: Multicolor. 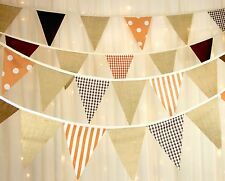 8 flags per set of bunting. 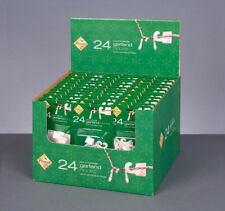 Not ready assembled, simply thread the ribbon through the holes and hang at your party. ribbon color may vary. each flag is A5 Size (approx). Colors may vary slightly from each computer monitor. 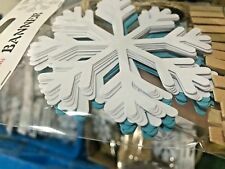 Snowflake cut out card banner. we will do everything to make it right for you. We will aim to set things right for you and will go the extra length to make you happy. If you are not entirely satisfied. 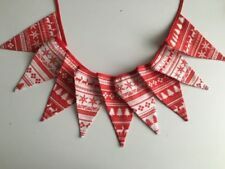 Lovely handmade Christmas bunting. Made in the lovely Derbyshire dales. Christmas jumper white reindeer pattern Christmas winter Bunting Banner. Make your party unforgettable with this perfect decoration. This set contains 15 triangles and 10m of ribbon. 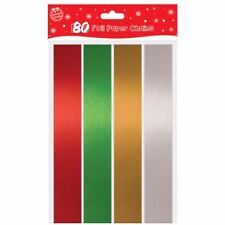 Lovely mix of Bright colours gold red green blue Large 8 section garland - 33cm width. beautiful, stylish Christmas garland by Premier Decorations. Bright Colours pull out. Each bunting has 8 flags. ==========. 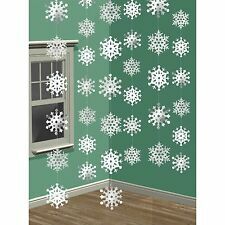 SNOWFLAKE CUTOUTS x10 CHRISTMAS DECORATION FROZEN BIRTHDAY PARTIES!